This eighteenth Letter comes to you with warmest greetings in the Lord Jesus Christ. You are constantly in my prayers. Prayer unites us before the Throne of Grace. We are bonded in prayer. Please continue to pray for me – for wisdom and for constant guidance from Almighty God. My wife and I, ably supported by my Private Secretary, Major Richard Gaudion, have recently made visits to the Congo (Brazzaville) Territory and to the USA National Headquarters in Alexandria, Virginia. What contrasting locations! 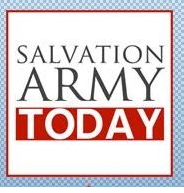 Yet we met in each place the same spirit of Salvationism and the same ardour for the Gospel that marks the Army in every corner of the globe. These two visits reinforced our awareness of the unity of God’s Army. In Brazzaville I was blessed to enrol 190 new Junior Soldiers, and the next day 185 Senior Soldiers – every child and adult in full uniform. The children and the adults made the same sacred promises and entered into the same holy covenants that are such a strong and unifying factor for Salvationists everywhere. The Territorial Commander, Commissioner Mfon Akpan, invited me to sign personally every single Promise Card and Soldier’s Covenant. What a marvellous privilege to see the names appended to these God-blessed commitments. Many thousands attended the meetings to encourage the new Junior and Senior Soldiers. Endless miles away, just a few weeks later, we encountered the same spirit of Salvationism as we met the officers and employees of National Headquarters in the USA. What a contrast from Brazzaville in terms of affluence, as once more we visited the richest nation on earth. Yet the Army spirit is the same. The goals are the same – the souls and needs of others! The commitment is the same – to serve in the Name of Jesus regardless of self! How moving it has been, how inspirational, to witness our unity in the Army’s global response to the Haiti earthquake and shortly thereafter to the quake in Chile. The instant, godly response has been wonderful, resulting in personnel, money, and equipment from across the globe in answer to the plight of the victims. Again, God is blessing and deepening our unity in Christ and in our callings to be Salvationists in a hurting world. Unity pleases God. The Scriptures make this clear. In John 17 we read our Lord’s passionate prayer that his committed followers would not allow discord to divide them. In Romans 12:5 Paul reminds us that ‘in Christ we who are many form one body.’ So let us each work for unity, especially in our local corps. A united corps is a growing corps. A united corps is an attractive, and attracting, corps. Our English language Song Book has words that express our unity in Christ. Song 660 speaks of our hearts being bonded ‘in Christian love’, of the sharing of ‘mutual burdens’, and of our being ‘joined in heart’. Song 573 offers an eloquent reminder of the role and place of the Mercy Seat in symbolising our oneness. It mentions (verse 3) our being gathered ‘around one common Mercy Seat’. We are equal, we are one, we are united in our need of grace as we kneel at the feet of Christ. Therefore I am praying for strong unity in the Army. I am asking God to deepen still further the bonds that unite us. I am praying that there will be no spirit of strife among us. I am pleading in prayer for unity in every part, and in every place where the Trinitarian flag of God’s Army - the yellow, red and blue - flutters in the breeze, whether it be Africa or America, whether it be north or south, east or west. Thank you for your faithfulness. I thank God for you. Here today in London, as I write, the sky is overcast, but there glows within our souls the bright sunshine of God’s love! May you know and feel that same love today, moment by moment. I commend you to the grace of Christ. "Christianity is not a series of truths in plural, but rather truth spelled with a capital ‘T’. Truth is about total reality, not just about religious things. Biblical Christianity is Truth concerning total reality – and the intellectual holding of that total Truth and then living in the light of that Truth."